The Smart Hoverboard is a self-balancing electric scooter that is made to look like something out of the distant future. Basically an affordable segway that is small enough to throw in a dufflebag. Smart Hoverboards have been all over the interwebs as of late, it doesn’t hurt that a number of celebrities have been spotted cruising around on them. These 2-wheeled electric scooters vary a bit depending on the brand, but you can expect to reach speeds of around 12 km an hour (7.5 mph) with an average range of 30-40 km (18.5-25 miles). These hoverboards run entirely on electricity and charge in around an hour. So what started as a novelty item, quickly turned into a feasible means of transportation. Granted, you probably won’t see too many senior citizens on these contraptions, but you can bet the local University campus is littered with them! The Smart Hoverboard comes in a huge variety of colors, with some pretty serious potential for a great custom paint job for those interested. One day I hope to be able to justify purchasing one of these boards, as useful and practical as it would be, it would just be straight up fun to own one. 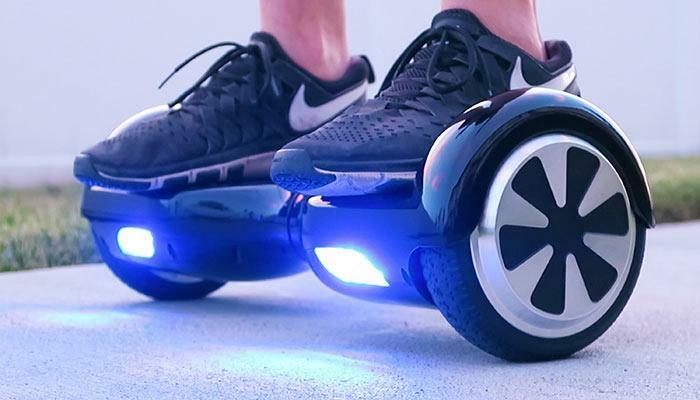 If you have tried one of these hoverboards out, let us know what you thought about it and if you would considering buying one yourself.